Oceanographer Peter Rhines likes to take physics and math “out of doors,” testing the theories of the so-called mother sciences in the natural labs of the oceans, the atmosphere, and the climate. He has spent his career studying the general circulation of the atmosphere and oceans, their waves, jet-streams and eddies. 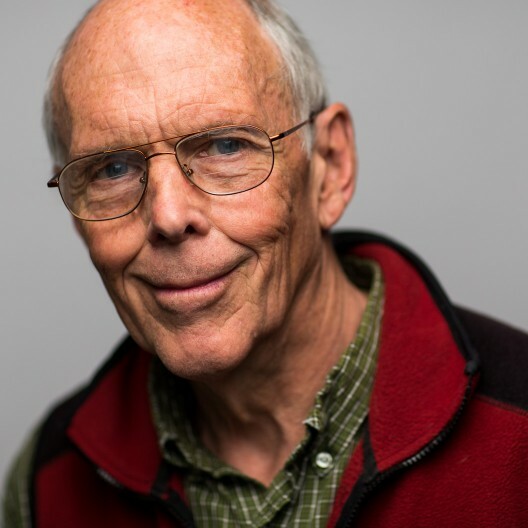 He has been a 2011 Fulbright Scholar in Chile, and the 2014-15 Arctic Fulbright Chair in Svalbard, a Guggenheim Fellow, and is an elected Fellow of the American Meteorological Society, the American Geophysical Union, and the American Academy of Arts and Sciences. He is also a Member of the National Academy of Sciences, as “the father of a school of theoretical oceanography that has spawned many advances in the statistical mechanics of ocean currents.” Teaching about energy and global environment at UW, he is an advocate for a greener undergraduate curriculum, and for hands-on learning in his Geophysical Fluid Dynamics laboratory and in the field.